Do you dream of opening the next great restaurant in New Mexico? Before you break ground, it’s important that you understand these two essential elements to this undertaking: Business plan and Feasibility study. 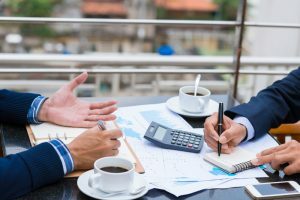 Before you create a business plan for your restaurant in New Mexico, you need to conduct a thorough feasibility study. This initial step will tell you if it’s even feasible to open the kind of restaurant you’re thinking about in the area you’re considering. In creating your feasibility study, it will help you identify all the things you need to have a successful restaurant, pinpoint logistical and other restaurant-related problems and solutions and help you develop marketing strategies. If your restaurant’s feasibility study proves it’s a winning idea, you may be ready to celebrate. Unfortunately, if you need investors to get your dream off the ground, you’ll also need to a business plan to show them it’s worth their money. The Concept for Your Restaurant: Explain, in detail, the inspiration behind your restaurant’s concept, the kind of food you’ll serve, and a description of the service style. Get investors excited about your restaurant. A Sample Menu: Your menu is one of the most important components of your restaurant, so go the extra mile with this part of your business plan. Make an actual mock-up menu that includes your restaurant’s logo. Don’t neglect the prices, either. You should have these numbers from your feasibility study, so include them on your menu. If you’re a beginner with graphics, try creating a menu with a website like Canva. Design Elements: Another important way to bring your idea to life is with actual visuals. You might not have a floorplan ready yet (you probably haven’t paid for a location at this point), but you can create a mood board with images that are representative of how you want your restaurant to look. Service Style: While this feature is most important for fine-dining restaurants, don’t skip it if yours falls under a different category. Your service style will do more than just give investors a better understanding of your restaurant’s overall motif. It will also give them a better idea about how many customers you’ll be able to serve throughout the day. Management Team: If you already have a management team in mind, great. Provide the relevant information from everyone’s resume. Otherwise, explain the number of people you’ll need to outfit your entire management staff and what each individual will need to bring to the table (no pun intended). Marketing Requirements: How will you get the word out that New Mexico has a new restaurant? Provide investors with your marketing plan and a monthly budget for the costs involved. Make sure you consider your audience, too. If you’re pitching seasoned investors, you still need plenty of details, but you probably won’t need to explain the various supplies your kitchen requires. If you plan on asking friends and family first, you may have to provide them with a bit more information. Ready to Launch New Mexico’s Next Best Restaurant? If you’re ready to become a restaurateur, let NMRA help. Check out our resources page or give us a call at 505-343-9848 for all the free information you need to make your dream a reality.